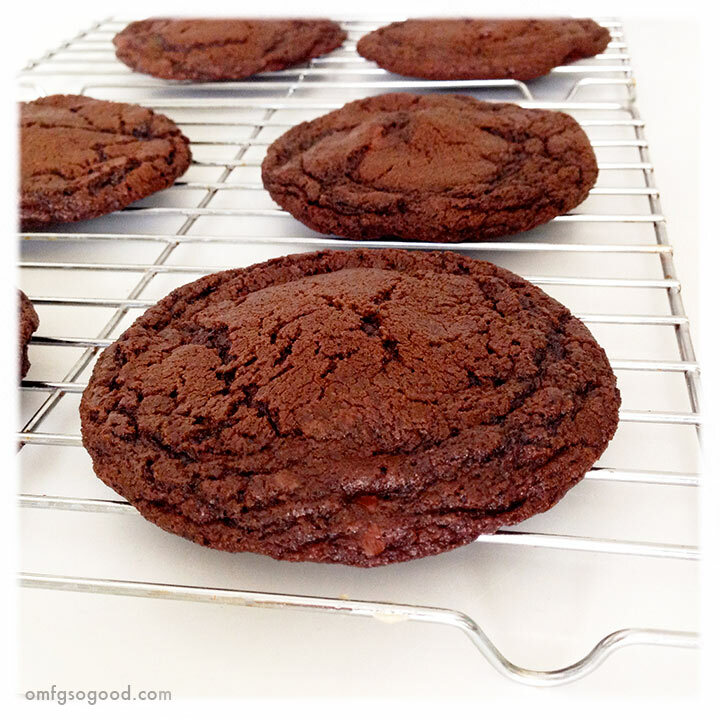 bittersweet chocolate chunk cookies | omfg. so good. My kids have been sick with random colds and grossness for what feels like months, and I’ve turned to chocolate for comfort. Lots and lots of chocolate. Which is weird because I’m not really a chocolate person by nature. I much prefer salty treats in times of need. Yes, the giant bags of kettle cooked potato chips from Costco are my kryptonite. So much that I’ve been known to text Jonny when he’s there pleading with him NOT to bring them home because he would then become an enabler. He brings them home anyway and pretends he didn’t see my plea until after he unloaded the booty. These cookies were actually a specific request from Finley. Sometimes he just pulls a cookbook off of the shelf and hands it to me with a, ‘Hey Mommy, let’s bake something together.’ Then I beam with pride. Until he stands at the counter rolling eggs with a spoon to ‘see if they’ll stop at the edge.’ Then I quietly remind myself to ‘let him be little’, while mentally preparing to sweep the dried egg that I’m sure to find two weeks from now, smashed between the refrigerator and the counter. You know, that teeny little space that’s just the right size for an egg to roll into, but not quite big enough to fit anything that could possibly clean it out? Sigh. We adapted a recipe from Martha Stewart’s ‘Cookies’ book, which is by far one of our favorite go-to resources, for these. Preheat the oven to 350 degrees and line two sheet pans with parchment paper. 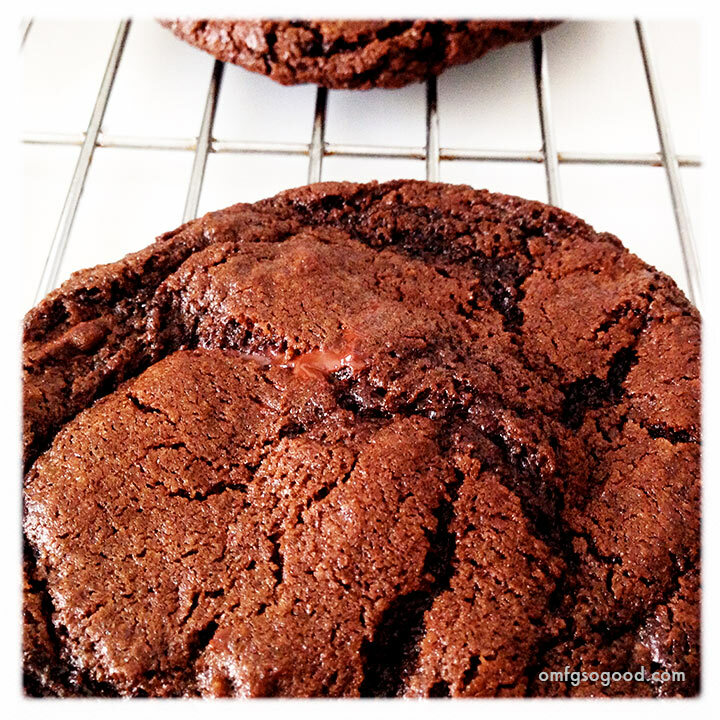 In a medium bowl, sift together the flour, cocoa powder, baking soda and salt. In the bowl of a stand mixer fitted with the paddle attachment (or a large mixing bowl if you’re using a hand mixer), cream the butter and both sugars together until fluffy. Add the eggs, vanilla and espresso powder, and beat until well combined. Add the flour mixture and beat on low until just combined (do not over mix.) With a wooden spoon, fold in the coarsely chopped chocolate. Form the dough into balls (around 1/4 cup each) and place them on the prepared baking sheets, around 3″ apart. Bake the cookies until they’re puffed and cracked (9 – 11 minutes), rotating the sheets halfway through. Transfer the sheets to a wire rack to cool completely. The only thing that could possibly make these cookies better is to throw in some crushed kettle potato chips. Lord knows I have enough of those.